Chiltern Railways has launched a fully mobile train ticketing app, which allows your mobile phone to act as your train ticket, even if your handset isn't exactly at the cutting edge of smartphone technology. Although the idea of mobile ticketing isn't exactly new to the world, Chiltern's new app will allow you to buy tickets on your handset, then use it as your ticket on the train or at station barriers in the UK. 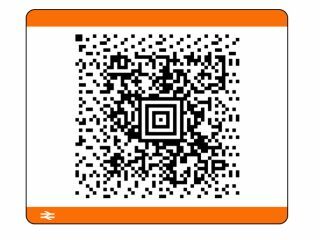 Rather than having to print any tickets, the app provides a QR code on your device's screen which you can then scan at the gate. This means no more frustrating queuing for the ticket machine as you watch your train slowly pull away. Chiltern has invested in some snazzy new barriers to facilitate the m-ticketing (below), which can be used on iOS devices, BlackBerry handsets, Nokia, Sony Ericsson and Samsung java-based handsets with colour screens. An Android version is also in the works. Sadly, it's a fairly limited tool; only Chiltern Railways will accept m-tickets, and the line only runs between London Marylebone and the Midlands, so if you're in the North, it's not much good to you at present. In terms of security, your card details won't be stored on your mobile; rather, some of the details will be encrypted and stored on external servers, but will require you to input your card's three-digit security code in order to buy anything. It's an interesting approach to have taken with NFC on the cusp of taking off and we do wonder if Marylebone faces more upheaval as NFC readers are installed at barriers some time soon - if the Oyster card readers are incompatible with the eventual technology. But Chiltern's app does mean that people with older, NFC-less handsets can enjoy the convenience of mobile ticketing as well as those with all-singing all-dancing smartphones.